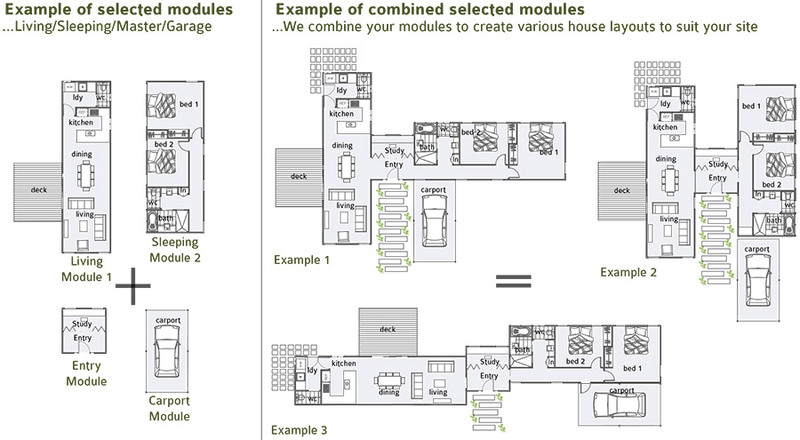 Our recipe houses are a selection of pre-designed modules and components, linked together and built on-site to create your perfect house. Our recipe homes are not pre-fabricated or pre-built pods or kits – each house is still completely designed for your individual site, and built on your site. 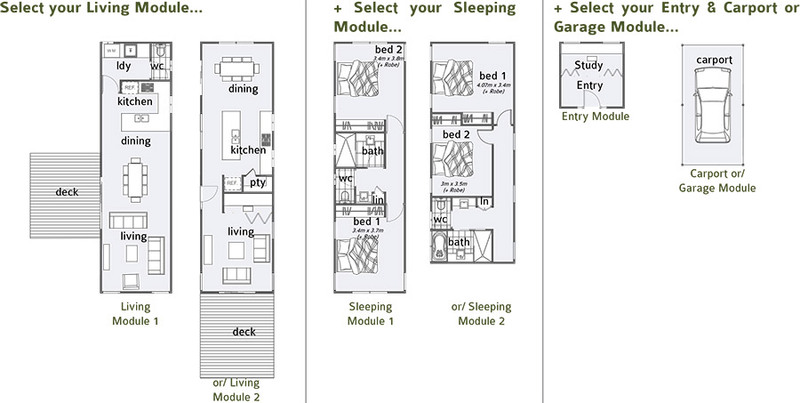 The modules allow you to choose your living, sleeping, storage and connection modules to suit your lifestyle and requirements. Once you have selected your modules, we’ll get to work on the plans.